say no more, mark! i grabbed my ingredients, made a quick stop at the liquor store for the good stuff, and got to work tonight. these rum balls are quite easy to make, but i will warn you now that they are a bit messy. rum balls don’t roll themselves, so be prepared to get your hands dirty. the recipe is below, along with all kinds of fun pictures. enjoy! if you were so fortunate to find a box of vanilla wafers already ground up, good for you! if you were not so fortunate, crush those little guys up with a food processor. it’ll take all of about two minutes, and opening up a brand new box of vanilla wafers is, le sigh, divine. those things might be some of the best smelling crackers/cookies in the world. just my opinion! next, microwave the rum for about a minute and then add the white sugar to dissolve it. i promise that doing so will make the mixture easier to incorporate in a minute. oh, and after you heat up that rum, it is going to smell strong. just a warning. place the chocolate chips in a microwave-safe bowl and heat them in the microwave for one minute. stir, and if necessary, return to the microwave and heat at 20-second intervals, stirring between each, until melted and smooth. 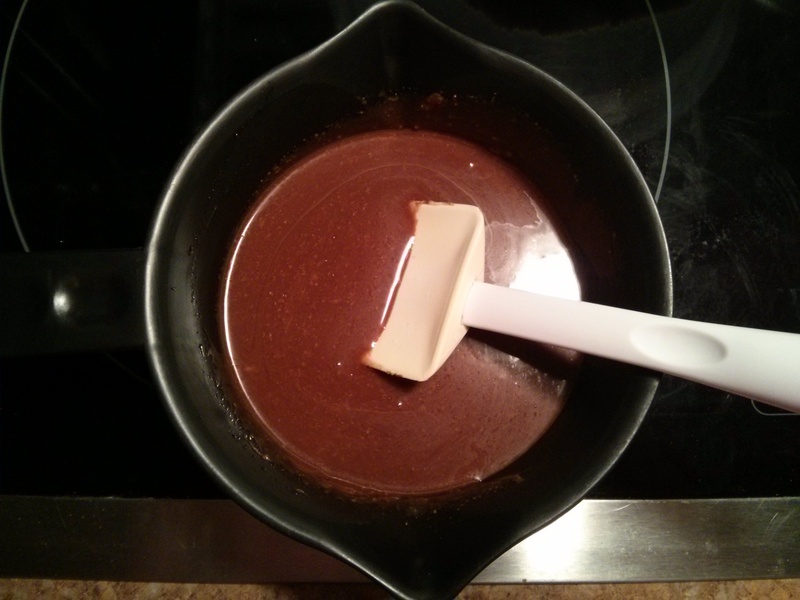 add and blend the rum-sugar mixture and corn syrup with the silky chocolate. 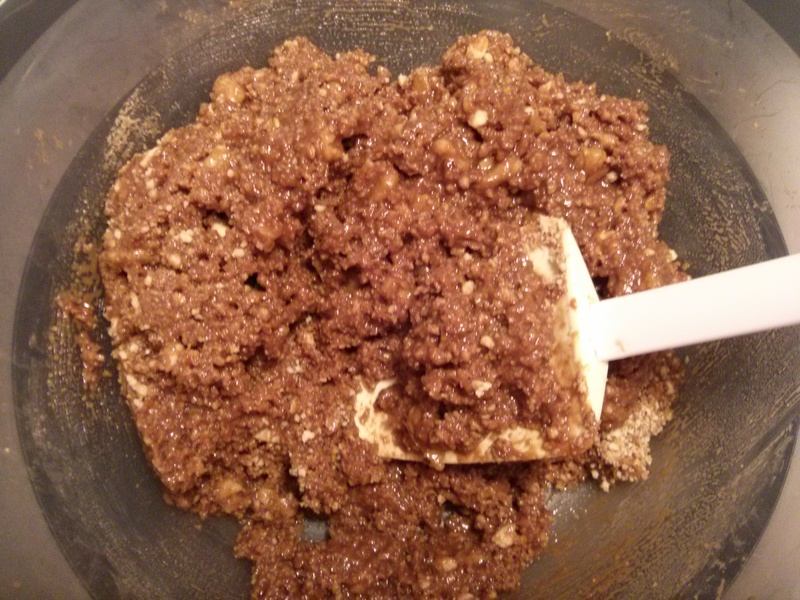 in a large bowl, stir together the crushed vanilla wafers, walnuts, and chocolate mixture until evenly distributed. okay, next comes the fun part. use your hands to roll the “batter” into little balls, just a skosh smaller than a ping pong ball. anything bigger is going to be overwhelming, take my word for it. oh, also take my word for it that it is easiest to roll all of the balls first before we take them for a dip in the confectioner’s sugar. and yes, your hands are going to get quite icky. that’s why you have a little brother to take that picture for you, so no one misses any of the fun! so, the final step is to roll each ball of chocolately-alcoholic goodness around in a bowl of confectioner’s sugar. 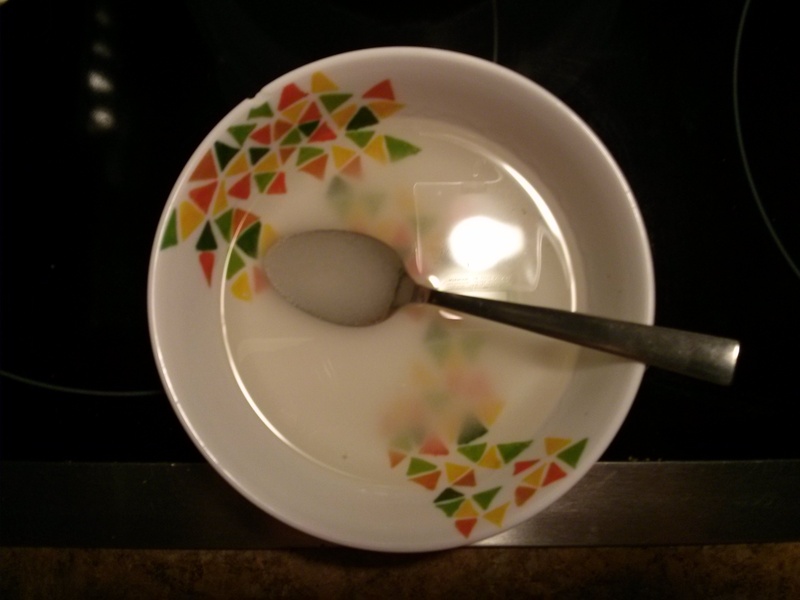 i use more like a 1/2 cup of sugar because i like to coat those things well. after they’re all covered and white like winter snow, pop them in the refrigerator, cover them, and leave them for a week so that all the flavors can blend together. once you finally do peel off that lid, the rum will be strong and taste even stronger which, if you’re anything like mark, is a glorious thing.